2. 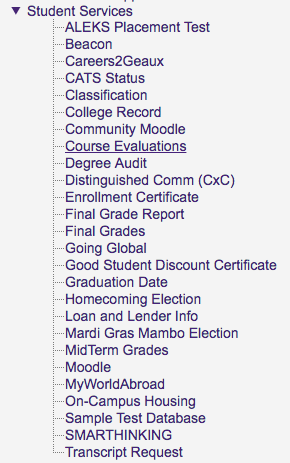 On the left hand side menu, select Student Services | Course Evaluations. 3. 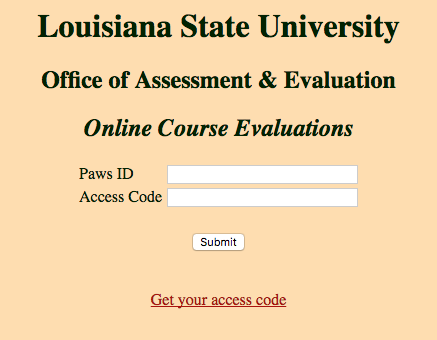 Enter your PAWS ID and Access Code and click Submit.